Rivers State governor, Nyesom Wike, has signed the state’s 2019 Appropriation Bill into law, with a pledge to sustain the massive development of the state. 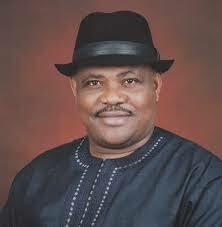 The governor signed a budget estimate of N480, 411, 324, 647 as passed by the Rivers State House of Assembly. Governor Wike had on December 24, 2018, presented an appropriation bill of N480 billion to the House for it consideration. Signing the 2019 budget at the Government House, Port Harcourt, Governor Wike thanked members of the House of Assembly for collaborating with his administration to develop the state. He said: “On behalf of the executive arm of government, let me thank the honourable members of the Rivers State House of Assembly for passing the 2019 Appropriation Bill into law. The governor said that road infrastructure and other facilities were needed to open up the state and create the right environment for investors to come in. Governor Wike added that the state government had also reduced the level of insecurity in the state. He assured that his administration would implement the 2019 budget judiciously in order to achieve the objective of the appropriation law. The governor solicited the continuous support of the state lawmakers towards moving the state forward. “Let us continue to work together in the interest of the state. For the opposition members, I thank you for placing the interest of the state above partisan consideration,” he said. Speaker of the Rivers State House of Assembly, Ikuinyi-Owaji Ibani, commended the state governor for laying the foundation for the rapid development of the state. He noted that members of the House of Assembly were happy to be associated with the rapid development of the state under the dynamic leadership of Governor Wike . Presenting the 2019 budget for the governor’s assent, Majority Leader of the House of Assembly, Martins Amaewhule, said that the budget would sustain the tempo of development in the state.